Dermal fillers are substances that are injected just below the surface of the skin to fill in lines, wrinkles, and scars. 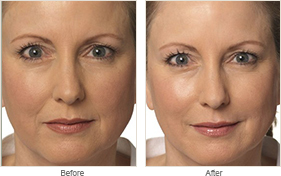 The purpose of fillers is to add volume to areas of the face for a more natural, youthful appearance. The most common areas treated are the smile lines around the nose and mouth, fine lines above the mouth, the cheeks, frown lines between the eyes, and acne scars. Fillers can also increase the fullness of the lips and lessen the downward slant of the corner of lips. There are several different types of fillers, such as Restylane, Juvederm Ultra Plus, Radiesse, and Artefill. The highly experienced Seattle plastic surgery specialist Dr. Lisa Precht will help you decide which filler is best for you.